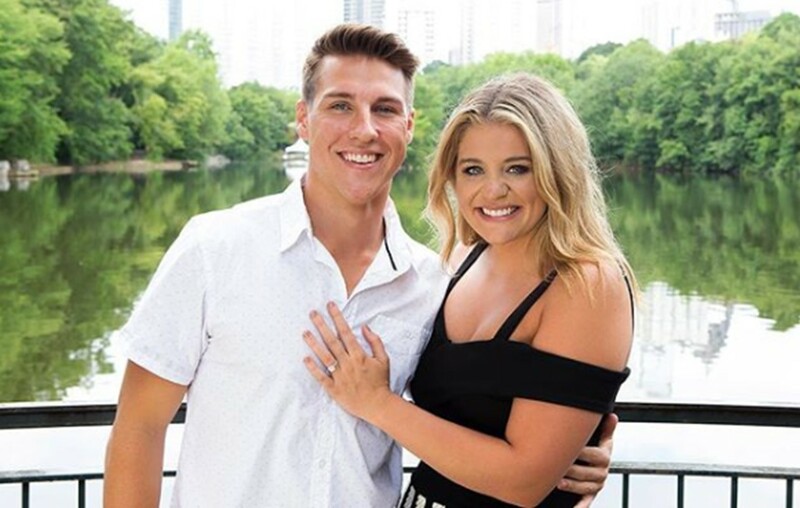 Lauren Alaina and Alex Hopkins have decided to end their engagement after six months. More on the couple's surprising announcement here! Wedding bells will not be ringing for longtime couple Lauren Alaina and Alex Hopkins. The pair took to their Instagram accounts on Monday to share that they have decided to break off their engagement and go their separate ways after six years together. Lauren and Alex became engaged over the summer. Read the full statement below. Jeremiah 29:11 “For I know the plans I have for you,” declares the Lord, “plans to prosper you, not to harm you, plans to give you a hope and a future.” As badly as we wanted to make it work, and as hard as we fought to stay together, she and I just weren’t a part of each other’s perfect plan for our individual lives. And that’s ok. She and I get to focus solely on ourselves and our different futures for the first time since high school. Sometimes what we want and what God has for us is 2 totally different things. Just trust that no matter the outcome, everything works out for the betterment of your life. “We ask for grace, compassion, and respect in this time. I don’t regret a single second with Alex. I wish him the very best. Please do the same,” the country star captioned the shared message. “As badly as we wanted to make it work, and as hard as we fought to stay together, she and I just weren’t a part of each other’s perfect plan for our individual lives. And that’s ok. She and I get to focus solely on ourselves and our different futures for the first time since high school. Sometimes what we want and what God has for us is 2 totally different things. Just trust that no matter the outcome, everything works out for the betterment of your life,” Alex expressed. What a very mature way to handle this delicate situation. We wish them both the best as they move forward. Share this news with other fans of these two awesome people!